The 37th annual Martin Luther King Jr. Parade is scheduled Sunday in downtown San Diego ahead of the national holiday on Monday. The event to celebrate the slain civil rights leader will include floats, high school bands, drill teams, college fraternities and sororities, churches and peace and youth organizations. Organizers said the parade will begin at 2 p.m. on North Harbor Drive at Ash Street, near the Waterfront Park, and conclude at Pacific Highway and G Street, near Seaport Village. 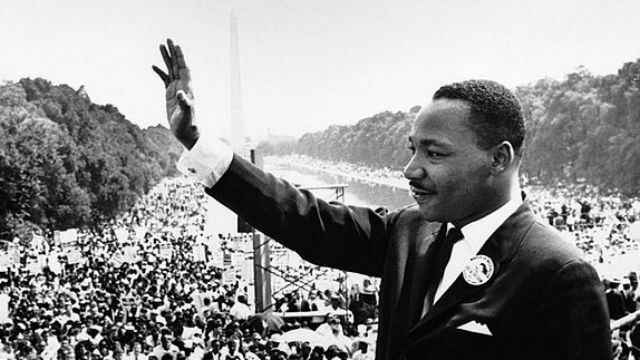 King’s legacy will also be celebrated Monday with a breakfast held by the United African American Ministerial Action Council at the Jacobs Center for Neighborhood Innovation, and the 29th annual All People’s Celebration at the Balboa Park Activity Center. Church groups of varying faiths are also coming together for a day of service on Monday. Members of congregations around San Diego plan to clear brush and trash, plant vegetation and clean flower beds in the southwest side of Balboa Park.